When it comes to hair removal, it's important to find a method you're completely comfortable with and one that will give you the results you want. Confession time: I'm afraid of razors, so I've turned to other methods like hair removal creams, plucking, and waxing. Out of all these, waxing became my best friend; and, more recently, sugar waxing. 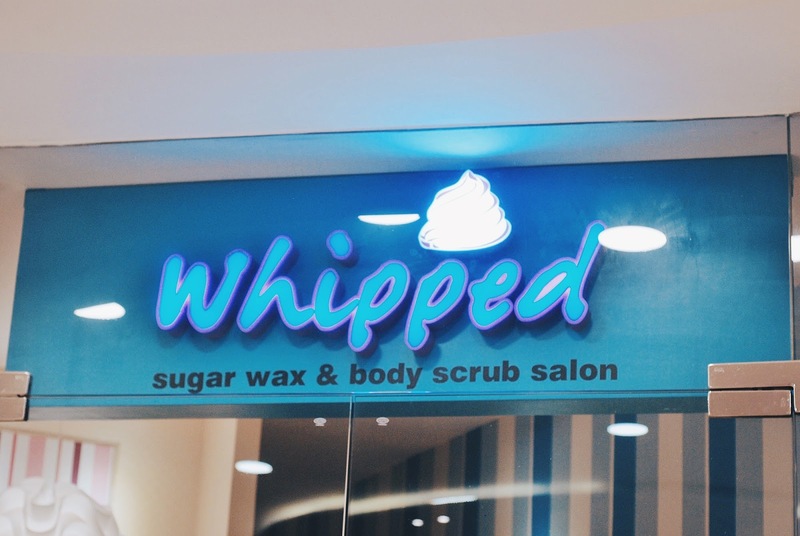 I was introduced to the concept of sugar waxing a few years ago, but it wasn't until I learned about Whipped Sugar Waxing & Scrub Salon, owned by Ms. Bing Fabi, that I've been consistently going for this method of hair removal. It's great because sugar waxing is basically cold wax without the harsh chemicals. It's made out of sugar (as in edible), and is all organic, making it even better if you have extra sensitive skin or if you've never tried waxing before and are worried about how your skin will react to it. I remember trying out hot wax for the first time and my skin did not agree to it at all! It was terrible. Compared to the hot wax and even the regular cold wax, I noticed that sugar waxing is much less painful. Just a slight sting. Going to Whipped for my sugar waxing needs is really convenient. They have a branch each in Fairview Terraces (QC), Eight Forbestown (BGC), and Alabang Town Center, which are easily accessible locations. All I have to do is call in a day before to book an appointment and show up on my preferred schedule, and they'll have someone ready to assist me. 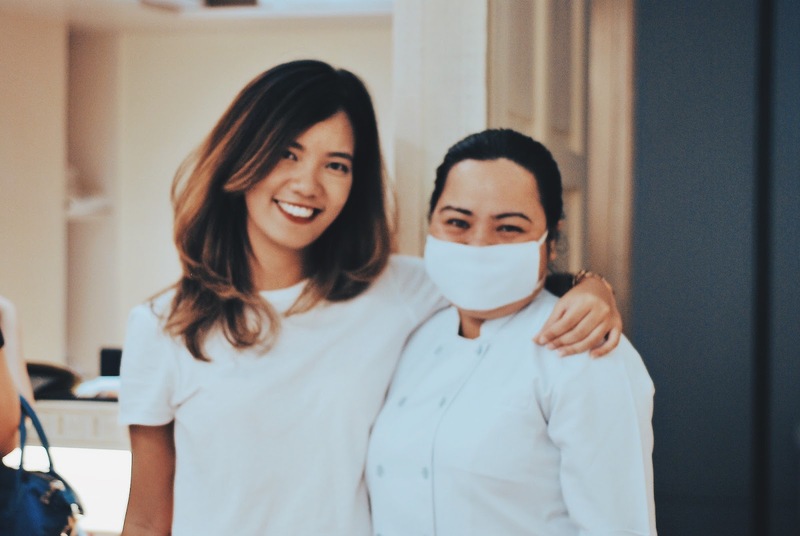 The waxing specialist prepped the room as soon as I got there and we were all set. It doesn't hurt as well that Whipped's salons are decorated so nicely. 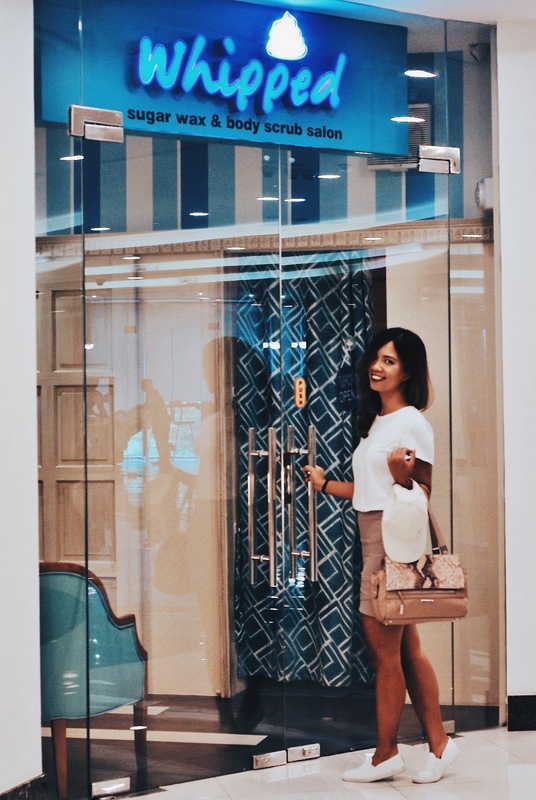 The interiors of their Eight Forbestown branch, specifically, is light and girly. Each waxing room has a cute patterned curtain covering it, and a pillow and towels for the client's use. I swear, it was so relaxing that I might have even slipped into a nap in the middle of having my legs waxed. LOL. That's how pain-free it was. If you're going to get a single service done, it's quite quick as well. Expect around 15-30 minutes for the session, depending on what sugar waxing you are going to avail of. On my last visit, I was booked for a half leg sugar waxing appointment. It was all very quick and easy. I popped in at their Eight Forbestown branch during my lunch break and even had time left from my break. You, too, can get Whipped! Just visit any of their branches located at Fairview Terraces, Eight Forbestown, and Alabang Town Center. Follow them on Facebook and Instagram for updates!